Acupuncture For Natural, Safe and Effective Pain Relief - Piedmont Physical Medicine & Rehabilitation, P.A. Acupuncture is growing in popularity as an effective treatment for chronic pain and other ailments. It’s estimated that 8.2 million adults in the United States have used acupuncture in the past, and 2.1 million sought acupuncture treatment within the previous year. So, what exactly is acupuncture? Acupuncture is a 3,000 year-old holistic technique that stems from traditional Chinese Medicine. It’s based on the ancient theory that energy, also referred to as “qi” or “chi,” flows through and around your body along pathways called meridians. However, when that flow of energy becomes unbalanced or blocked, it can lead to various physical and even emotional disorders. The leading theory in eastern medicine is that acupuncture helps to release blocked qi, which then stimulates the body’s natural healing abilities to restore balance. Acupuncture covers a wide range of procedures that involving stimulation of anatomical points on the body by a wide variety of techniques. It works by promoting your body’s natural ability to heal by stimulating specific areas – also known as acupuncture points, or acupoints. The most common method is to insert several metallic, hair-thin needles into various points on your body to influence and balance the energy flow. You may feel a slight pressure when a needle is inserted, but most people feel little to no pain. At the most, you may find that the spot itches, tingles, feels numb or only slightly sore, and many practitioners believe such symptoms are a positive sign that your energy has been successfully accessed. The needles typically remain inserted between five and 30 minutes. During and after the treatment sessions, people often report they feel extremely relaxed, and many even fall asleep during the procedure. While acupuncture is most commonly used to relieve pain, the U.S. National Institutes of Health (NIH) reported that acupuncture is safe and effective for treating a wide variety of health conditions. 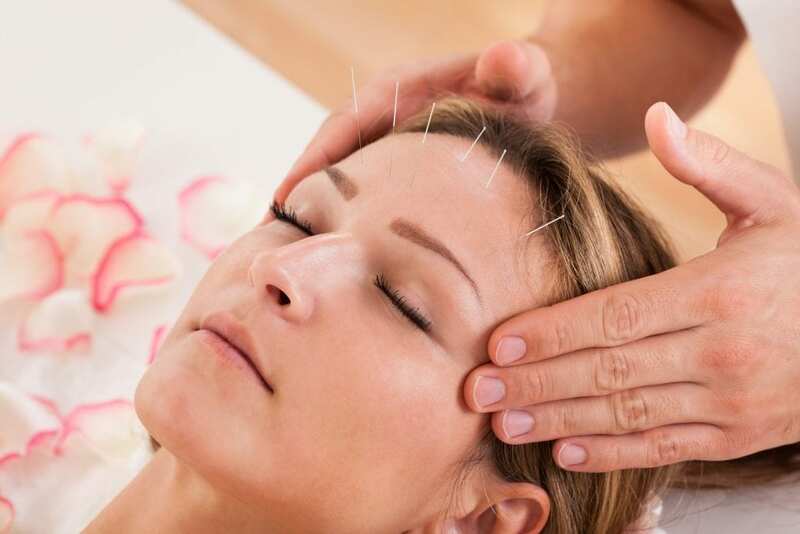 Hundreds of clinical studies on the many benefits of acupuncture show that it successfully treats conditions musculoskeletal problems, migraine headaches, and a wide spectrum of other conditions. While there’s no clear cut explanation for how acupuncture works in the Western system of medicine, the traditional Chinese view is that acupuncture provides relief by regulating the nervous system, which promotes the activity of pain-killing biochemicals such as endorphins and immune system cells at specific sites in the body. Studies have also shown that acupuncture may alter brain chemistry by influencing the release of neurotransmitters and neurohormones. As a result, it leads to improvements in immune reactions, and other involuntary body functions, such as blood pressure, blood flow and body temperature. Today, acupuncture is practiced by thousands of acupuncturists, as well as physicians, dentists and other practitioners for natural and safe pain relief, and a wide variety of other health issues. At Piedmont Physical Medicine and Rehabilitation, PA we are trained in the use of medical acupuncture for musculoskeletal conditions and after over thirty years of experience have become quite comfortable with its place as one of many treatment options that we offer. Acupuncture Can Help Relieve Your Chronic Pain!